Mexus’ Santa Elena Mine is located 54 kilometers NW of Caborca, Sonora, Mexico just West of Mexico Highway 2. This fully permitted project consists of several mining concessions totaling approximately 7300 acres. The Santa Elena Mine is dominated by a series of fissure white quartz veins where 6 important systems have been recognized. Three or four low angle shear zones are also present with important prospects in them and notable higher gold grades as bonanza pockets. The fissure quartz veins have an average width of 2.1 meters. The quartz is massive and mostly fractured, and often brecciated due to multiple pulses during deposition. The Julio Vein extends more than 800 meters before it buries and is known for high bonanza grades which includes the underground mining site on the property and is estimated at 415,000 tons on the surface with a minimum of 5 grams per ton. There are also four shear zones recognized in the area. Shear Zone 1 is coincident with the Julio Vein and had a sample graded at 11.5 grams. Shear Zone 2 is 400 meters to the south east and parallel to the vein system 1 through 5. Shear Zone 3 contains a bonanza pocket which had sample results as high as 19 grams and was graded at an average of 5.5 grams from assayed sample results. Shear Zone 4 presently contains some pits, adits and shafts and graded 2 grams from eight samples. The 6 major vein structures identified in the area south of the Julio shaft account for nearly 4,000,000 tons of ore with an average gold grade of 2.5 grams with three times as much in Silver. Mexus San Felix Project is located in the NW portion of the Sonoran state and is part of the Desert Gold Province. The mine consists of 7 concessions totaling approximately 26,689 acres. Situated on the property is an approximate 3 million ton leach pad in place and a 1600 GPM Merrill Crow gold recovery system. Having the leach pad and recovery system in place will greatly reduce the time and cost to bring this mine into production. The Ures property lies approximately 80 Kilometers northeast of Hermosillo, Sonora, Mexico and consists of approximately 10,000 acres. The El Scorpio concession has abundant copper and gold mineralization and has the potential of developing a copper porphyry deposit. The El Scorpio Prospects are variously underlain by a sedimentary sequence (limestone, quartzite and shale) intruded by dacite and diorite to granodiorite as well as some rhyolite. Alteration is extensive and consists of propylitic alteration mainly in the Scorpion area, along with various veins consisting of silicification with Au and Cu and galena bearing quartz veins. The copper grades are as high as 9% with an average of 1%. The Ocho Hermano concession had test runs on three kilos of sulfite ores showing 27 kilos of silver per ton. The company is looking for an economical way to extract the silver. 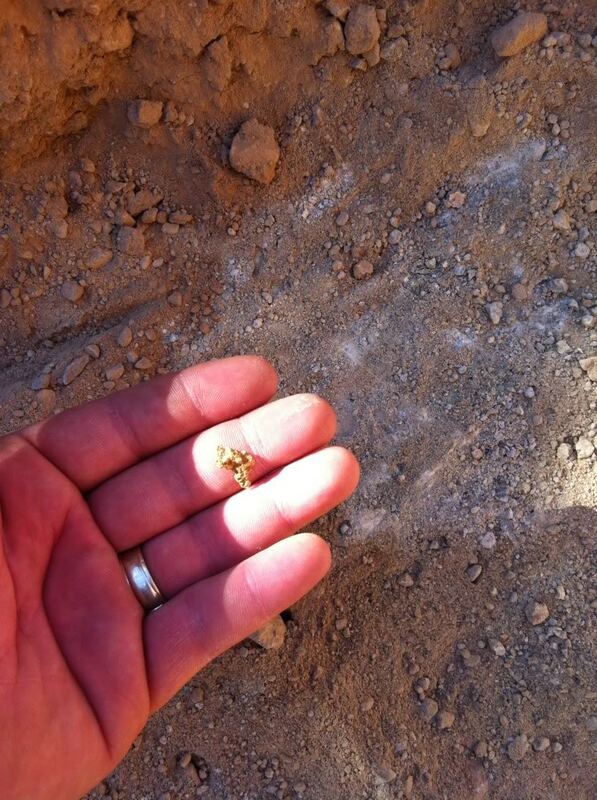 The remaining concessions hold gold and will be drilled and/or sampled in the future. The San Marco property sits in the municipality of Pitiquito, 200 Km S of Puerto Penasco and 250 Km NW of Hermosillo, Sonora in the community of Puerto Libertad. The mine encompasses a total of 970 acres. The previous owners reported 110,000 oz of gold which was identified through prior geological evaluations. Is Mexus likely to make a discovery? 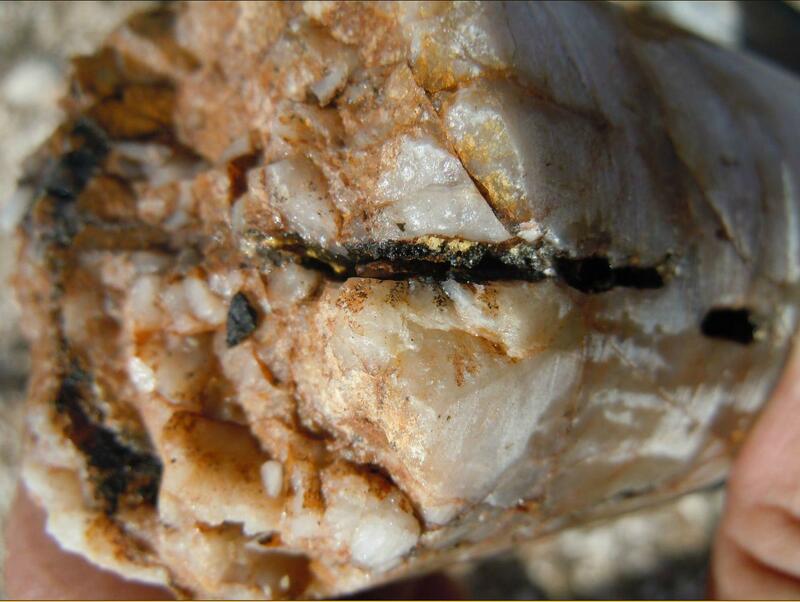 Why should someone speculate on Mexus' high grade gold?